The entomologists at MMPC’s Free Pest ID Center can analyze a physical specimen of your mystery pest — or pictures of the pest or insect bites — and provide identification results and suggestions for treatment. Images of the mystery pest or insect bites can also be sent to the Pest ID Center using the form on this page. If your specimen is uploaded or provided to the Center during regular business hours (8:30am to 6:00pm weekdays, 10:00am to 6:00pm weekends), an MMPC team member will contact you within two hours of submission. If your specimen was submitted outside of regular business hours, we will contact you as soon as possible in the morning. If by phone, what is the best time to call? Ants are six legged social insects found almost anywhere on the planet. There are 455 types of ants in North America alone, identifiable by their elbowed antennae and a distinctive node-like structure that forms a slender waist. Ants prefer cool and damp locations and live in large and complex colonies that can consist of millions. Ants build many different types of homes: some make simple little mounds out of dirt or sand; others use small sticks mixed with dirt and sand to make a stronger mound that offers protection from rain. Some ants also live in wood, like termites. 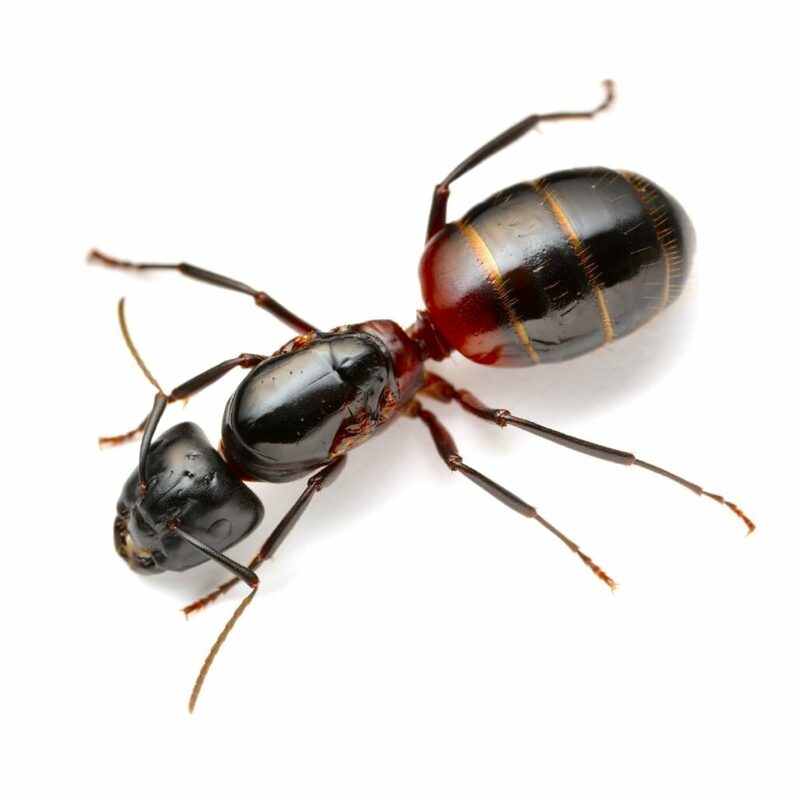 A single queen ant can live for up to 30 years and can lay millions of eggs over her lifetime. Eggs usually develop into full adult ants over an 8 to 12 week time-frame. Taking a clear photo or trapping a specimen sample is key to being able to identify the species of ant. In addition, it is important to investigate from where the ants are originating and how they are accessing your living space. In many cases, trimming back bushes and branches near windows is key to effective elimination of an ant problem. If you have samples of insects that you suspect might be ants, you can schedule a free Pest ID at our office, weekdays from 8:30am to 6:00pm. Proper identification is critical for control. At MMPC, we realize that because of their diversity, there is no one single solution for treating ants. MMPC offers customized and comprehensive plans to eliminate ants from the interior and exterior of residences, corporate and commercial spaces. If you suspect that you might have ants or are at risk for ants, we can arrange for one of our certified specialists to inspect your premises. Our inspectors are available for on-site inspections weekdays, between the hours of 8:00am to 4:00pm. Bed bugs are six-legged nocturnal insects that feed on the blood of humans or warm-blooded animals. The most common bed bug, Cimex lectularius, is the species most adapted to living with humans. Adult bed bugs are mahogany to red in color and are flat and oval-shaped. They grow no larger than ¼ inch. Immature bed bugs (nymphs) resemble the adults, but are smaller and somewhat lighter in color and can appear translucent. Bed bugs can live inside mattresses, baseboards, box springs, headboards, and many other cracks and crevices around the house, and they can lay 200 to 500 eggs during their lifetime. Under normal room temperatures and with an adequate food supply, bed bugs will typically live up to a total of 316 days. Since bed bugs are nocturnal, another obvious warning sign would be suspicious bites that occurred at night. Though people experience different physiological reactions to bed bug bites, these bites are usually red and visible and generally appear in clusters of three on arms and legs. The bite patterns result from frequent disruptions to the bugs during “feeding,” which may cause them to make several attempts in the same area. At MMPC, we understand that treating bed bugs requires a comprehensive approach: listening, assessing and diagnosing, so that we can thoroughly and effectively treat and solve your bed bug problem. MMPC’s Bed Bug Solutions combine our expert knowledge of bed bug biology and behavior, with the application of EPA-approved, EcoSMART pesticides and innovative technologies. We continuously review and assess new developments in the field to offer our clients the best technology and pest solutions available. Each of MMPC’s bed bug technicians have over 1,000 hours of experience in their specialization. They work closely with each client to assess the extent of the problem and customize comprehensive treatment options, offering help and advice through every step of the process: from pre-treatment to post-treatment clean-up. Each bed bug case is closely monitored until the problem is completely resolved. Assessing and diagnosing the problem starts with identifying the presence of bed bugs, which we do through the skill of our NESDCA-certified bed bug detecting canines. MMPC’s Canine Inspection team is 98% accurate in determining the scent of live bed bugs and viable eggs. The experienced entomologists in our Pest ID Center can also determine (through samples or pictures) whether a bed bug problem exists. The black carpet beetle, Attagenus unicolor, is 3–5 mm long, and a troublesome household pest. Larvae grow to 7 mm in length, are reddish brown in color and are covered with bristles. The larvae feed on natural fibers, causing damage to carpets, furniture, clothing, furs, stored foods and other plant- and animal-derived items. While larvae do not feed on synthetic fibers, they will feed on blends of wool and synthetics. Carpet beetle eggs, larvae, pupae and adults may be carried into indoor environments and can reside within the lint that collects behind baseboards, in air ducts, in the stuffing of furniture and in the bristles of old paint brushes. Harboring in these discreet places, carpet beetles may go undetected, and cause extensive damage for long periods of time. It is not always possible to distinguish between the damage caused by clothing moths or carpet beetles. Carpet beetles are more likely to damage a large area of a single garment or carpet, while moth damage usually appears as scattered holes through out multiple items. Infestations in pianos can cause damage to the natural fibers in felts and hammers so that the tone and action of the instrument are seriously affected, requiring the services of a piano technician. If you have a sample of an insect you think might be a carpet beetle, you can submit a specimen to our Pest ID Center, weekdays, from 8:30am to 6:00pm. If you suspect that you are at risk for, or might have a carpet beetle problem, we can arrange for an inspection of your premises by an MMPC certified specialist. On-site inspections can be scheduled weekdays, from 8:00am to 4:00pm. MMPC’s Carpet Beetle Treatment Program combines a thorough understanding of carpet beetle biology and behavior with the use of EPA-approved pesticides and cutting edge technology to treat the problem. We continuously review and assess new developments in the field to bring our clients the most effective solutions available. The American cockroach is about 1.2 inches long, the German and Asian cockroaches are about a ½ inch long and the Oriental cockroach is about ¾ inch long. Tropical varieties of cockroaches are often much bigger. Cockroaches are the most common insect pests in the Northeast, infesting homes, food service establishments and other structures. They are large, omnivorous insects capable of transmitting disease, which in turn, can cause food poisoning. Cockroaches are also the second most common allergen for people, the first being house dust. Cockroaches can establish themselves in an environment after being carried in with laundry or grocery bags, but these insects can also wander in from outdoors. Once cockroaches become established, they are prolific breeders that can produce several thousand offspring a year. The smaller German cockroach is the most common variety found in homes and food establishments. 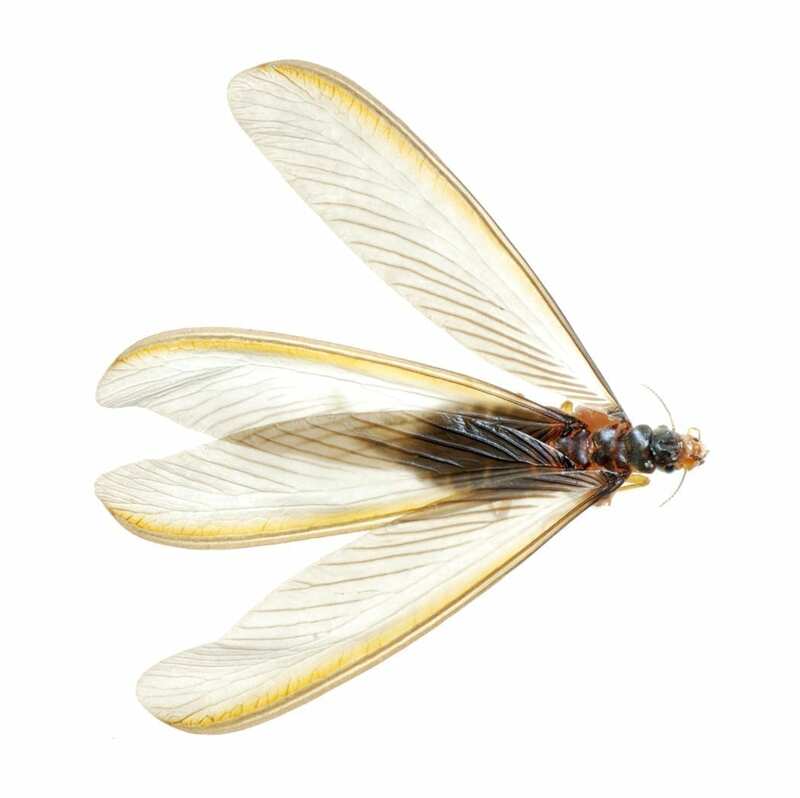 Larger Oriental and American cockroaches prefer dark, damp areas such as basements, floor drains, crawl spaces and utility closets. Many people are allergic to cockroaches, so sneezing, coughing or symptoms of asthma can also be an indication of their presence. Because cockroaches are generally most active at night or in the dark, it is often difficult to determine whether a problem exists. If you have a sample of an insect you think might be a cockroach, you can submit a specimen to our Pest ID Center, weekdays from 8:30am to 6:00pm. MMPC offers comprehensive plans to eliminate roaches from interior and exterior environments. 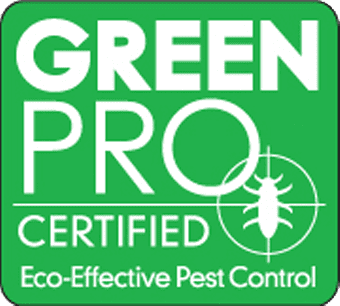 If you suspect that you might have roaches or are at risk, we can arrange for an MMPC certified specialist to inspect your premises, weekdays between the hours of 8:00am to 4:00pm. Rodents are mammals with sharp incisors used to gnaw wood, break into food, and bite predators. They eat seeds or plants, though some types have more varied diets. Rodents are nocturnal creatures, spreading diseases (such as salmonella and tuberculosis) by contaminating food intended for human consumption, and causing damage to buildings and property by gnawing and burrowing into structures. The term “rodent” encompasses both mice and rats. Mice are commonly found in interior environments and can live for up to 18 months. They range in length from 5 to 8 inches and can weigh up to 1 ounce. Female mice can produce 36 to 192 offspring per year. Rats, specifically the Norway Rat, are commonly found in urban and suburban areas of North America. They range in length from 13 to 18 inches and can weigh up to 11 ounces. Females can produce 35 to 85 offspring annually. If you suspect the presence of rodents, taking action quickly can stop the problem from getting worse. If possible, try to identify how these pests are entering your space and where they may be nesting. Rodents can often be found in or near the kitchen, which provides them with food sources and entry points around utility lines or behind appliances. The best way to eliminate a rodent infestation is to stop them from entering your space. Even if you have determined that you have an existing rodent problem, exclusion will still provide the best long-term solution. MMPC’s Rodent Proofing Program Teams will inspect, treat and seal openings around utility lines and service conduits — such as water pipes, electric wires, air conditioning units, drain pipes and vents — and will check for broken windows and unscreened vents. Our Rodent Proofing Team is available for on-site inspections or other treatment needs weekdays from 9:00am to 4:00pm. Termites are insects that feed on dead plant materials, such as wood, leaf litter, soil or animal dung. Ten percent of the estimated 4,000 species of termites cause serious structural damage to buildings, crops or plantation forests. During late winter or early spring, the winged swarmers emerge from the ground, attracted to light, and form large, dense groups to mate and start new colonies. While swarmers are not destructive, if they form a new colony, the resulting workers will feed on wood and can cause severe structural damage. A colony’s king and queen can live for 10 to 30 years, while workers have a 2 year lifespan. At first glance, termites can be confused with ants, since they are similar in size and appearance. Termites generally inhabit the ground floor or basement/subterranean levels of a building. If you observe termite-like pests on a higher level of a building, it is likely that you have a different type of pest problem. If you have samples of insects that you suspect might be termites, Our MMPC Pest ID Center can identify the pest, weekdays from 8:30am to 6:00pm. 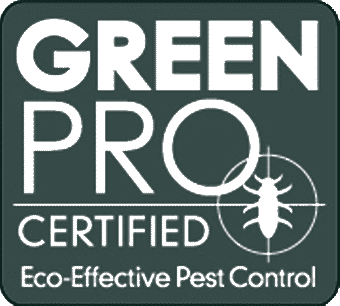 Because of the dynamic nature of this pest, there are a variety of treatments and termiticides available. Proper treatment depends on the type of building construction and severity of the infestation. Treatment must be administered correctly and carefully to achieve proper protection and effective results. If you suspect that you might have termites or are at risk, our inspectors are available for on-site inspections on weekdays, from 8:00am to 4:00pm. We’ll assess your situation and find the best solution for you.